Supplementary material reads: "Photo assignment for Monday June 23 at 1 p.m. Pls. 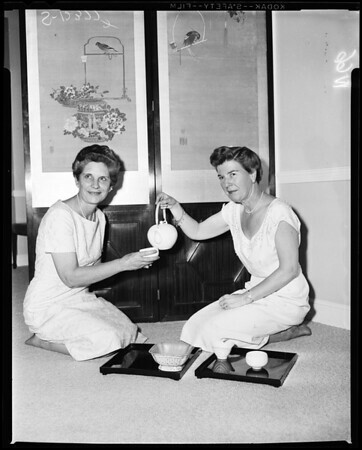 go to home of Mrs. Leroy Garrett, 10701 Bellagio Road, GR 26082, get shots of All Saints Church women at tea making plans for annual fair. Candid, three cols., animated, close together. Contacts Tuesday. Thanks, Carter Ludlow".